I LOVE small town romances and Candis Terry's Sugar Shack series is a favourite of mine. It is full of heart and laughter, so when I heard she had a new series coming out I couldn't wait to have her over to tell you about it. So please give the warmest welcome to Candis, tell us whether you enjoy small town romances like us, and you could even win a copy of Crazy Sweet Fine Candis' newest release! Happy Blogoversary Stella! And many more amazing years to come! Since Ex Libris is one of my favorite places to visit, I’m super excited to be here today. But when I tried to think up something to say, I froze. 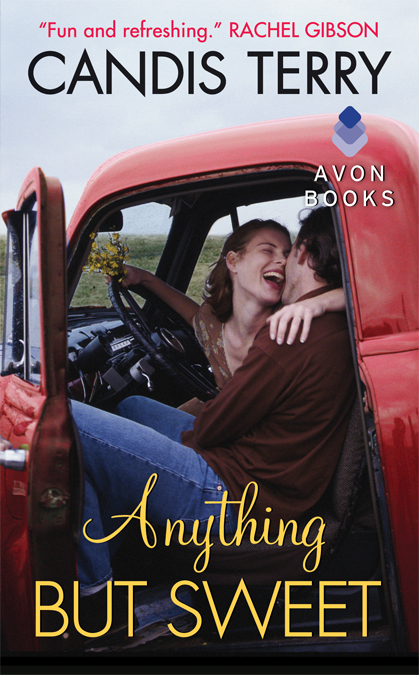 See, I’ve been under this really tight deadline for book #2 in my new Sweet, Texas series (Book #1 – ANYTHING BUT SWEET -- will be a June 25, 2013 release) with probably THE most difficult hero I’ve ever written. Yes, the man drips with sexuality, but he refused to comply with my wishes. He wasn’t funny. And though he was yakking in my ear the whole time I was writing book #1, he clammed up as soon as he got his turn. In the meantime, I’m honored to be included in a new book of romantic stories with amazing New York Times Bestselling Author Rachel Gibson and the effervescent Jennifer Bernard (Bachelor Firemen series). 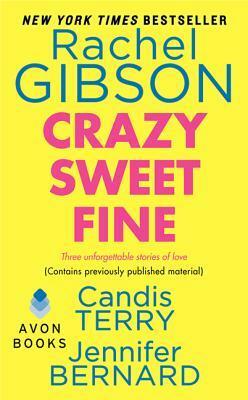 CRAZY SWEET FINE will be on sale March 26. My little story in this anthology is called HOME SWEET HOME. It introduces my new Sweet, Texas series and the love story of Army Ranger Lt. Aiden Marshall and Paige Walker, the woman waiting to make his homecoming one to remember. Today, instead of trying to make some brilliant notations of writing tips or quirky commentary on the state of undress in an erotica I just read, I thought I’d give myself a reminder of why I love writing small town romances. Hopefully it will give you a little behind-the-scenes look at why I choose to sit in a room by myself night after night with my fingers on the keyboard even when my head is nodding and my eyes are half-closed. 1. CHARACTERS – Though the stories created in my head always start with a situation and never the characters, it is the characters who bring the situation to life. In a romance its obvious the hero and heroine are the most important. But in my stories I find the entire cast of characters to be just as vital because they help the hero and heroine come to life. I’ve written everything from a backseat driving ghost mom who hands out unwanted advice to her adult children, to an amorous 80+ year old bow-legged cowboy. Some of these characters are a mix of people I’ve met along the way and some are just completely made up in my head. All of them are folks I’d like to spend a little time with over a hot cup of coffee. Or a shot of whiskey. 2. COMMUNITY – In my stories the community always plays a large part. Whether its coming together to fix up the neighborhood or celebrate the quirkiness of the town in a parade that goes up the street one way, turns around and comes back down the same way. I know they’ll always work together for what’s best for the entire community. And they are always there to support the hero and heroine. Okay, most of the time. Watch out for Lila Ridenbaugh in ANYTHING BUT SWEET. She’s got a different idea. 4. 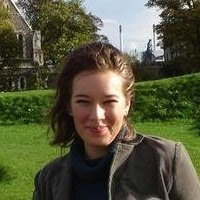 RESEARCH – To get a true feel of the places I write about I actually get in the truck (with travel trailer attached) or on a plane or even an ATV. I love discovering new places and the little things that make each location special whether it’s the little museums or the local’s favorite restaurant or bar (yes, Seven Devils Saloon really does exist). I hope when you read my stories, you actually get a sense of being there. And sometimes, I’ll admit, it’s really hard to leave. 5. LAST BUT CERTAINLY NOT LEAST—READERS – I’m never sure how much readers understand why we authors write. At heart we are storytellers. But it is the true joy of knowing we’ve made a reader smile, or laugh, or even shed a tear. It’s the connection from us to you. A lifeline, so to speak. And you are all the most important reason I keep writing long after my body tells me it’s time to quit and go to bed. I hope you’ll join me over at my brand new website where I have an updated blog, appearances, book excerpts, recipes, and more. Or join me on Facebook or Twitter @CandisTerry. Candis Terry is the author of the Sugar Shack novels—a trio of small town romances rich with memorable love stories, quirky characters, and tons of fun. 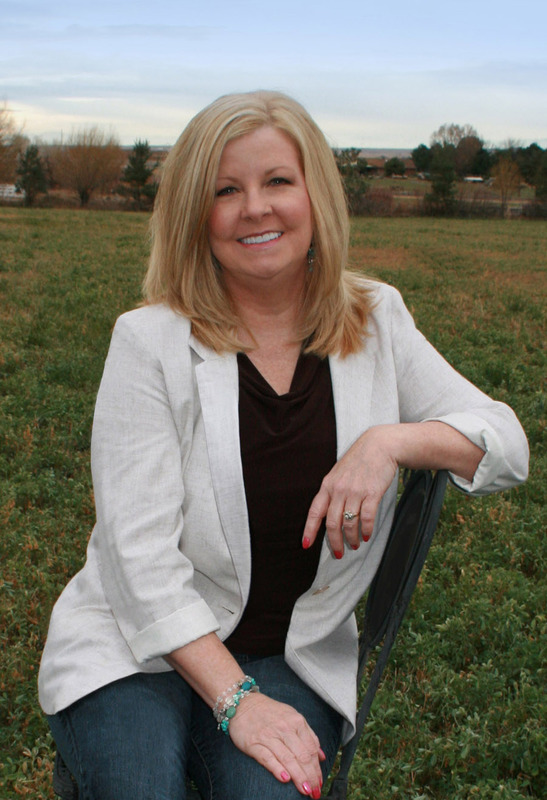 Born and raised near the sunny beaches of Southern California, Candis now makes her home on an Idaho farm. She’s experienced life in such diverse ways as working in a Hollywood recording studio to chasing down wayward steers to working as a graphic designer. Only one thing has remained constant: Candis’ passion for writing stories about relationships, the push and pull in the search for love, and the security one finds in their own happily ever after. Fall in love--over and over again--with three much-loved romantic stories from New York Times bestselling author Rachel Gibson, Candis Terry, and Jennifer Bernard. Fireman Kirk is nicknamed Thor for his Viking good looks--but whenever he's around Maribel he turns to mush. Can a feisty puppy and an even feistier little boy help them find the true love they both so richly deserve? Candis has generously offered a signed paperback copy of Crazy Sweet Fine by Rachel Gibson, Candis Terry, Jennifer Bernard to two lucky commenters!